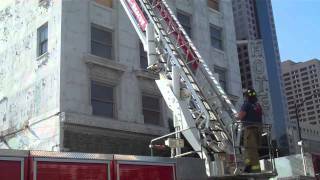 www.alexrosspro.com Firemen Climb to the top of a hotel to save a kitten. This entry was posted in Hotels and tagged Diego, Downtown, Fire, Hotel, Rescue on February 6, 2014 by David. This entry was posted in Hotels and tagged Alarm, caught, Downtown, Fire, Hotel, Rescue, story, Tape on January 11, 2014 by David.